I didn’t choose the magic life, the magic life chose me. I would have wished away that broccoli. Lazy Dalek indeed. Just exterminate the broccoli. You’re masters in exterminating. 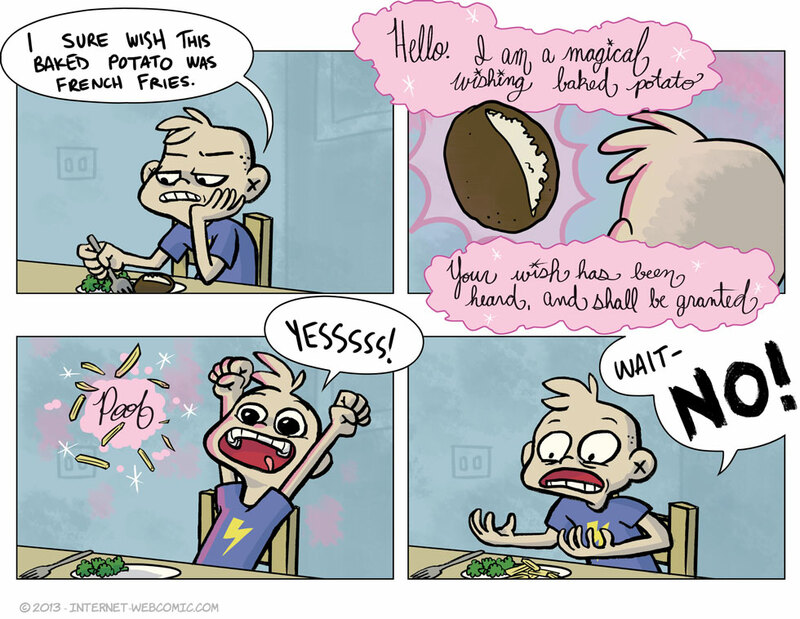 Damn…I wish I had a wishing baked potato. I demand that be in every RPG from now on! From WoW to TES to… Everything! Like a summoner, but with potatoes! The greatest mage class EVER!